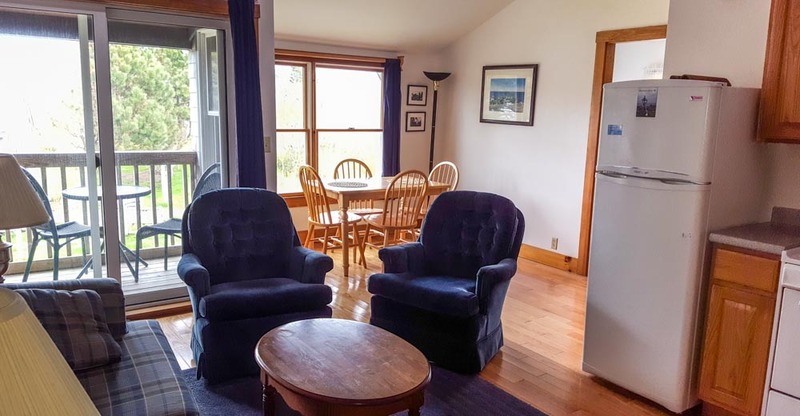 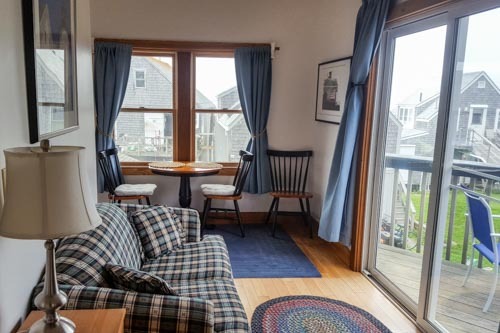 Located in the heart of Monhegan Village, at the corner of Fish St. and Maine St., is the Inn at Fish & Maine with four beautiful apartments on the second floor. 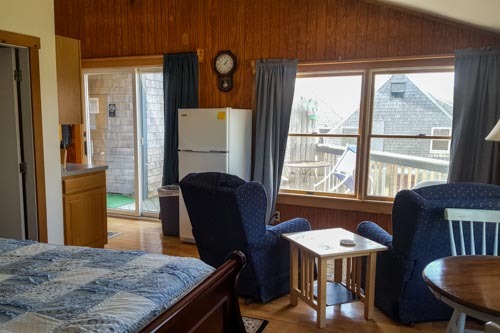 Two of the apartments, "Periwinkle" and "Studio" have great harbor views and decks. 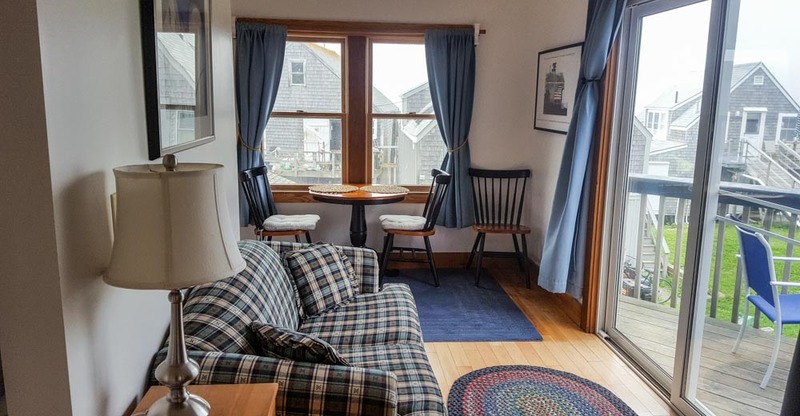 "China Cap" is a spacious two bedroom apartment with a small harbor view and a private deck. 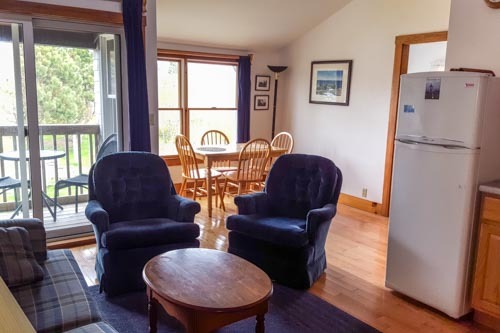 "Kristina’s" is a large one bedroom apartment with a gas fireplace and a tub in the bathroom. 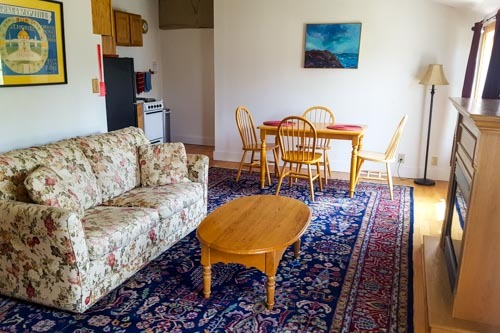 All the apartments have hardwood floors, cathedral ceilings, kitchens and private baths. 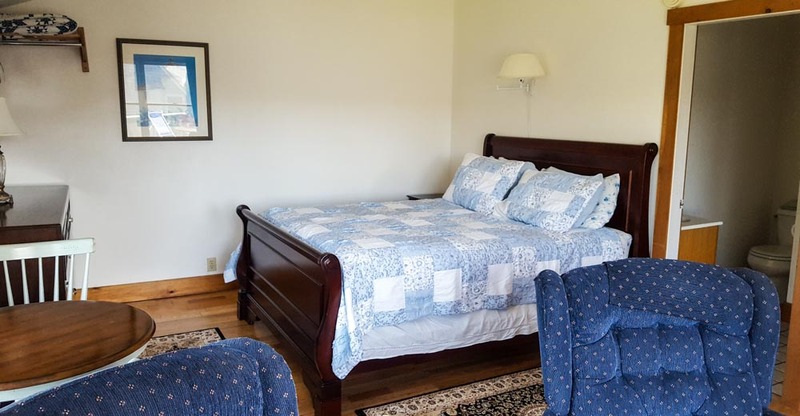 WiFi is available throughout the Inn and there is a courtesy phone for guests for outgoing calls which requires a calling card. 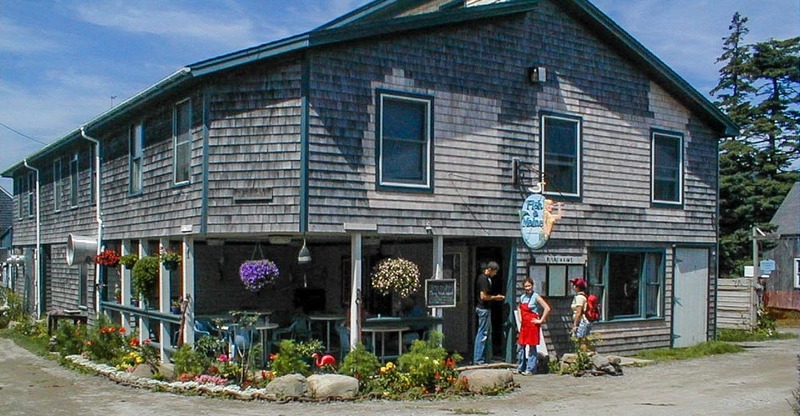 The ground floor features weekly art rental space for artists with a need for work space, workshops or galleries. 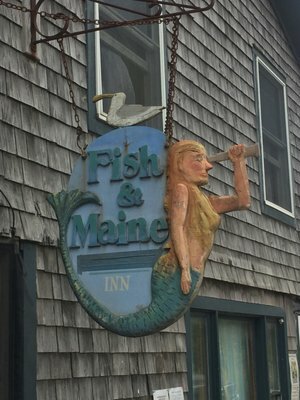 Continental breakfast is not included at the Inn at Fish & Maine. 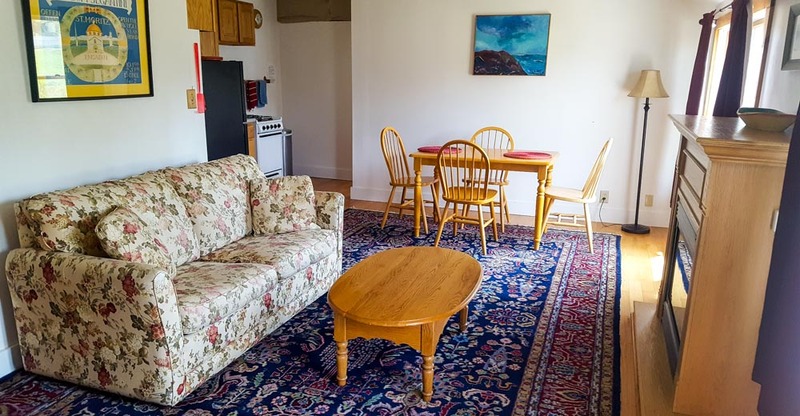 To view photos and more details of these apartments, please click the on the corresponding images/links below.